Today’s data centers require security appliances that deliver exceptional performance, deployment flexibility and extensive security features, to protect the most demanding network environments. 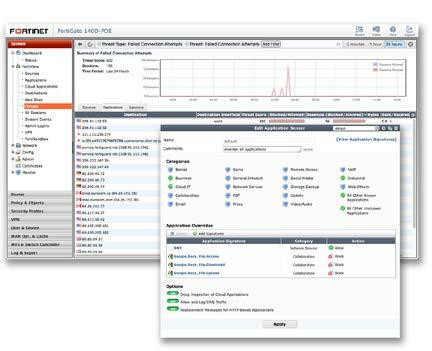 The FortiGate 3100D device is ideally suited for network segmentation and internal network threat protection in data centers with its 32 10 GE interfaces. The FortiGate 3100D appliance provides up to 80 Gbps of firewall throughput through the use of innovative FortiASIC processors and the latest generation of multi-core CPUs. Impressive consolidated security performance and support for a variety of configurations ensure that essential security functions keep up with the rest of your network. Download the Fortinet FortiGate 3100D Series Datasheet (PDF).